According to AEW Executive Vice President Cody Rhodes, All Elite Wrestling will be a much less-scripted product than fans are used to. In fact, AEW won’t be hiring any writers for the foreseeable future. As Cody sees it, the wrestlers are the ‘writers’ and the last thing he wants to do is micro-manage the talent. During our exclusive interview with Cody earlier this week, we asked how the AEW product will be different than WWE’s brand of over-scripted, corporate Sports Entertainment. In addition to a more more sports-like product that include Win/Loss Records and Rankings, Cody says the talent will be working off loose bullet points, not lengthy scripts. With so many talented wrestling minds out there who have experience booking major league promotions, we wanted to know if AEW has considered reaching out to guys like Eric Bischoff, Bruce Prichard or Jim Cornette to join their team as members of their creative team or as consultants. 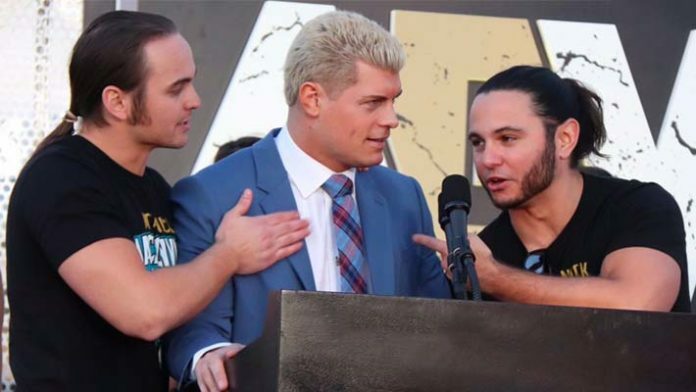 For much more on All Elite Wrestling, visit our dedicated AEW News page.